The Injury Free Coalition for Kids® at Cincinnati Children’s Hospital Medical Center (CCHMC) is a hospital-community partnership dedicated to preventing childhood injuries. Since 2000, Injury Free Cincinnati has been working to reduce unintentional injuries to children in the Avondale community. Injury Free Cincinnati’s mission is accomplished by utilizing the national Injury Free model to affect structural and social changes within the Avondale community by 1) creating safe play environments for children; 2) providing safe, supervised out-of-school activities; and 3) offering injury prevention education to children, parents and community. The coalition selected Avondale as the focus community for its initial injury prevention efforts because of their high rate of injuries and proximity to CCHMC. 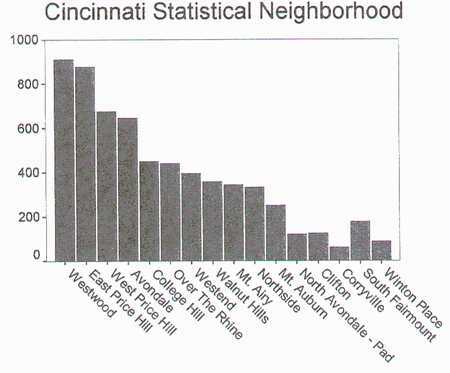 Avondale is the largest African-American community in Cincinnati with almost 20,000 residents, of which 5,000 are children under 18 years of age. Local research data indicated that African-American children accounted for only 27% of the population, yet they accounted for 36% of all the injury hospitalizations. Nearly 75% of the injury-related deaths in Hamilton County occurred in this population. Avondale reported that 80% of the injuries are unintentional with poisonings and falls being the leading causes for hospitalization. These demographics and injury statistics contributed to Injury Free Cincinnati choosing Avondale as our first community to focus with injury prevention efforts. 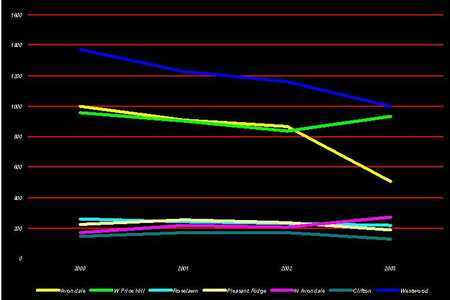 Since our inception in 2000, a 43% decrease in injury volume has been realized. This decrease can be attributed to Injury Free Cincinnati's efforts in conjunction with the efforts of other community organizations working to reduce injuries. We appreciate the assistance of all coalition members and partners who helped with this significant decrease in injuries among our children and neighborhood. Expansion efforts into our second focus community, Price Hill, are underway and we plan to help develop a safer place for children to live and play in this area. There are currently no events listed for Cincinnati.